Reach for the stars. Eight years since my first iOS application Rockstar Solos. Christmas season has just been there. In the hype of holiday preparations I suddenly realized, that these days it’s exactly 8 years since the release of the first full-functioning iOS app I built from scratch. While inspiration is still here, I decided to share the story of Rockstar Solos with you. 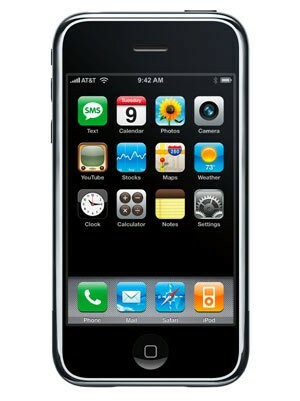 I’ve been a fan of iPhone product from the moment I saw it on the first Apple presentation. Obviously, I bought one as soon as it appeared on the market. It was like a piece of art comparing to my previous experience with Windows Mobile or Nokia Symbian phones. iOS was a revolutionary operating system. The only thing it lacked at the very beginning was custom applications, which other platforms had in abundance. The possibility to build a legal custom application was introduced on July 10th, 2008, when Apple launched the App Store. I say “legal” because there was always a backdoor with Jailbreak Cydia App Store, but documentation was poor, and tutorials and tools too insufficient to build those apps. With App Store lunch Apple introduced a good set of tools and a portal for community collaboration. In cooperation with Stanford University, they released video lessons. Those were very helpful in bringing clarity to building apps for the platform. With their App Store Apple created opportunities for garage based companies or individuals to build and distribute their own apps. So, the moment XCode was installed on my Mac, I started experimenting with small, useless apps. It’s hard to express how excited I was seeing first time “hello world” on my mobile device. Experiments are a good start, of course, but my dream was to build something that people all around the world can download. And the first opportunity came to me in 2009. 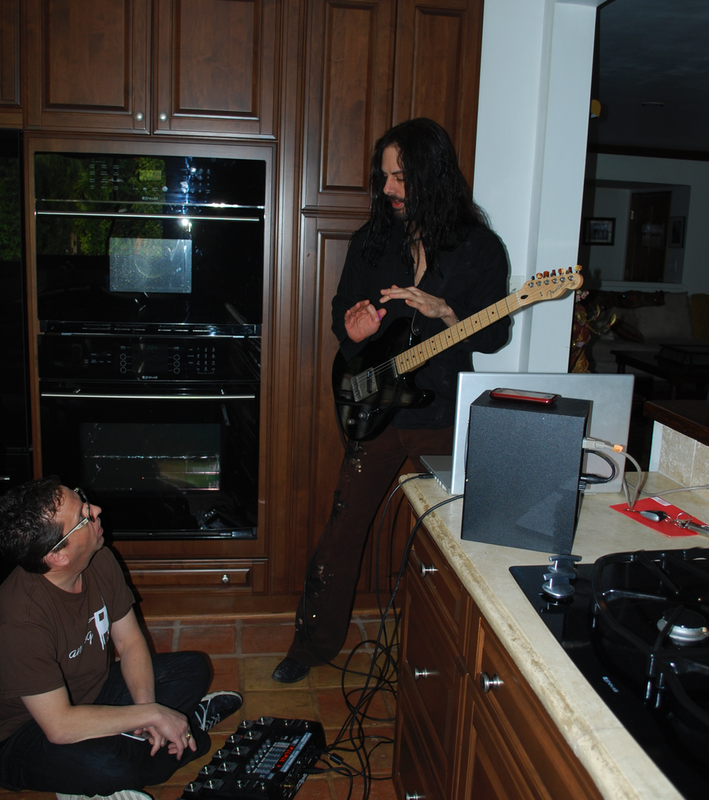 The idea of the app was to represent Steve teaching the user to play guitar solo in a game-like way. The game had 2 modes: solo itself, so you can practice by yourself, and jam mode, where Steve plays solo for you to reproduce and memorize. 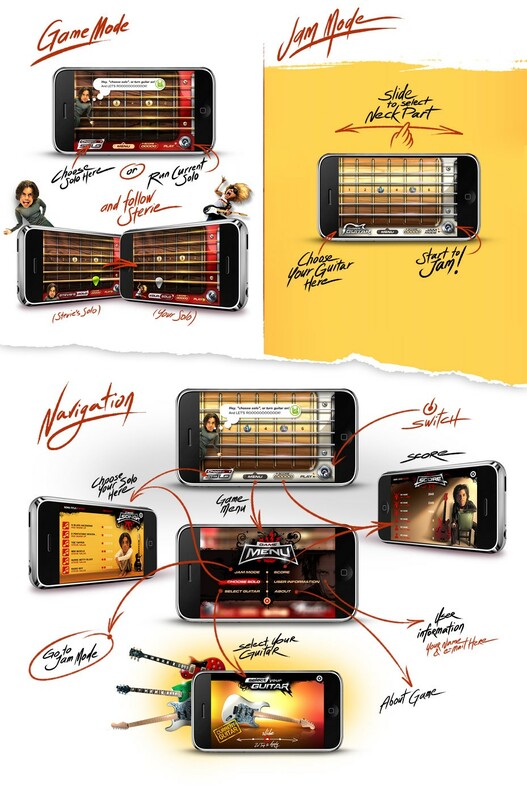 It was planned as one of the first guitar simulators in App Store and I was fully responsible for its design and development. So the app was launched in time and we started to wait and constantly check our analytics. First few weeks it was going okay, with downloads and active users. But still, no uptick. Rockstar Solos was not getting viral and soon we realized our expectations were too high, our strategy was based on assumptions. Application most active phase was in December, 2009 — August, 2010 with few more years dragging, up to 2016. App Store started being fueled with many other applications, leaving us a few chances to get into the top lists. That is when we made the decision to close the project. In the end, 5K samples of the app were sold. With the App Store service fee of 30%, it was not a decent income. We appeared to be young entrepreneurs and did not know well how to make money on such niche products. Despite the failure all this project was a big adventure for me personally. It was interesting and challenging from the professional perspective but also in the course of product development and launch, I’ve visited the USA. For the first time ever. A 2-week dream trip to California! It was a cool adventure, which gave me an opportunity to get acquainted with some stars, visit their home studios, even observe how they make studio recordings. Why have I decided to share this story of a failure? First of all, because it taught me a few business lessons I wouldn’t probably learn just by myself. One of those is importance of strategy. No matter how proficient your technical skills are or how polished your product is, without a strong go-to-market plan it is difficult to reach great success. The second one is — dream big even about small things, for example traveling to the US in my case. When your small dream will come true, you’ll get a lot of joy, creative energy and it will inspire you for the next achievements. It’s better to do something and fail than sit and be afraid of the failure. Any new project or even small activity you try will give new expertise and open unexpected opportunities you were not even able to think about before. So don’t be afraid to try ;) For me personally Rockstar Solos project was a nice step towards my other experiment, I’ll write about later, iOS puzzle game Glam Joe. And the last thing I want to share. All my life, being a fan of groups like Red Hot Chili Peppers, I had this strange feeling those guys are magical creatures, a different type of humans, who live somewhere behind the ocean in a wonderland. This project gave me a possibility to get an access to the backdoor of this “magical world”. We were hanging out together for many hours working on the project and also having some fun. After some time this imaginary boundary between us disappeared and I’ve realized, Rockstars are also humans :) — they just love what they do, and they spend all their time on music. They don’t consider music as a job they have to do. They don’t count the hours waiting for the end of the working day, when they will go home to their families. Their personal life, their work and their hobby is one thing. They are what they do. And this is also applicable to all of us: if you do what you love with passion there is always a chance to become a Rockstar Engineer, Designer, Chef, Driver or <put your occupation here>.